in the heart of Stroud. You can find out all about our church and the journey that we are on by browsing our website pages using the navigation tabs on this page. Alternatively, you can look for specific items by using the Search facility at the top of the page. We hope you find it interesting and that you are able to visit us and play a part in our journey. We would love to welcome you in person. ​Stroud Sacred Music Festival 2019 will be happening on ​Friday 5th and Saturday 6th July. But there's a whole series of other amazing supporting events and activities taking place throughout the year. A 3-month pilgrimage around the UK's great centres of faith and spirituality, with gatherings along the way to celebrate unity in diversity, with music, food and silence. We are absolutely thrilled to be hosting Jazz Stroud 2019 in May. It's sure to be spectacular! 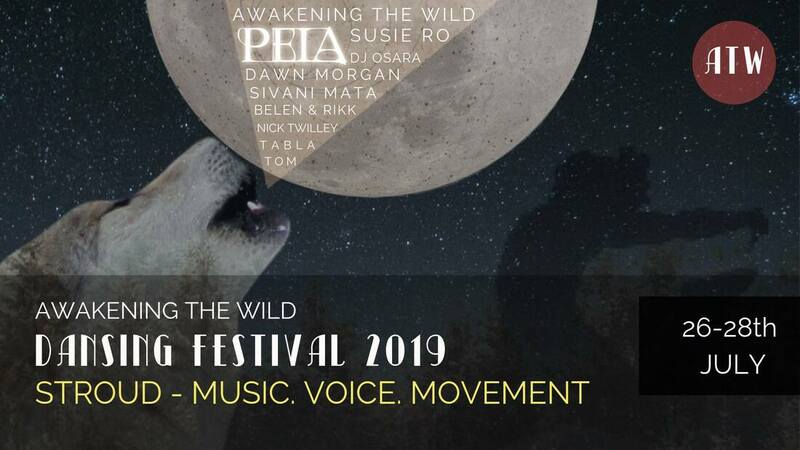 ​A three-day festival of awakening and reconnecting with our wild nature, through movement, voice, community and world class live music. With an exquisite line-up of musicians and facilitators from the world of conscious dance, voice and sacred/world/folk music, in what promises to be a magical weekend. Good on Paper "Hidden Notes"
A brand new two-day festival event from Stroud's very own monthly arts listing magazine, Good on Paper. Featuring unique performances by modern classical composers from leading independent record labels, the event includes an international array of artists from Austria, Germany, Iceland, Poland, Ukraine, Canada, Japan, Argentina and the UK. ​Awakening the Wild's "DanSing Festival 2019"
​Good on Paper's "Hidden Notes"